Please note below the procedure for new or transferring Glow accounts. Users need to have officially started at your school and have been entered correctly in Seemis before you will find their Glow account and before you can log a call for a CC4 account. If they haven’t appeared then please give the system another overnight run to see if they will come through. If not, then please log a call with the Learning through Technology Team. 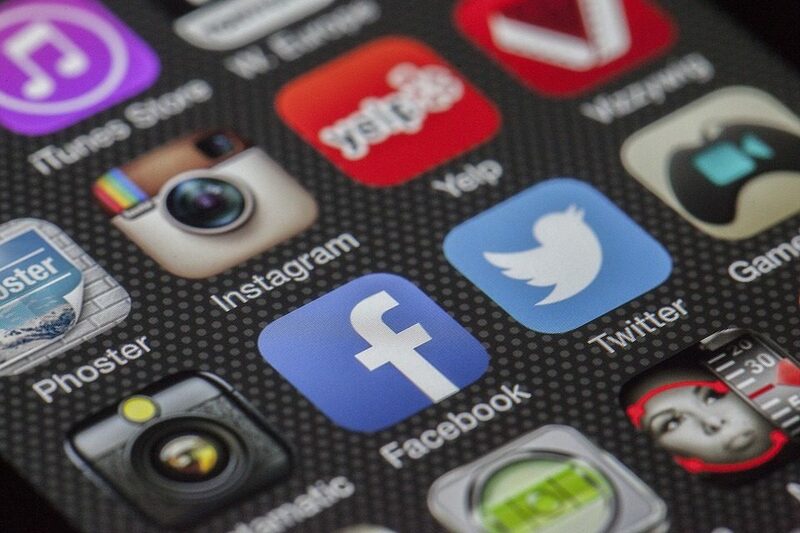 More and more schools use social media and add pictures to their school websites. Therefore, we would like to remind everyone the advice from our Child Protection Officer. We should not be including name information which allows pupils to be identified. Include the pupil’s first name. If there is not photograph or video clip , it might be that there is an article or a section of text which talks about a pupil’s success, then the full use of the name may be permissible, with the relevant permissions having been obtained. We should also consider the nature of the photographs we use. Swim teams in tracksuits will be more acceptable that pictures just after the swimmers have left the pool, for example. Schools should not rely solely on permissions which were obtained earlier in the pupil’s school life, say at the start of P1 or in S1. Parental and pupil views may have changed. It is better to check before going ahead, particularly if it is for a production which might have a long shelf life. Please get in touch if you have any questions or queries about the above. “You can now start using Microsoft Office 365 (O365). It offers opportunities for better ways of working and allows us to make a real change to how we work together as an organisation. O365 gives you access wherever you have an internet connection. There are online versions of the applications you currently use, such as Mail, Calendar, Word, Excel, PowerPoint and OneNote. But there are also new applications like OneDrive and SharePoint that will allow you to store, share and work more effectively on shared documents. Nothing is being taken away, all of this is in addition to your current Microsoft applications. In response to your requests, O365 will also be available from personal devices in the very near future and we will be in touch shortly with more details. 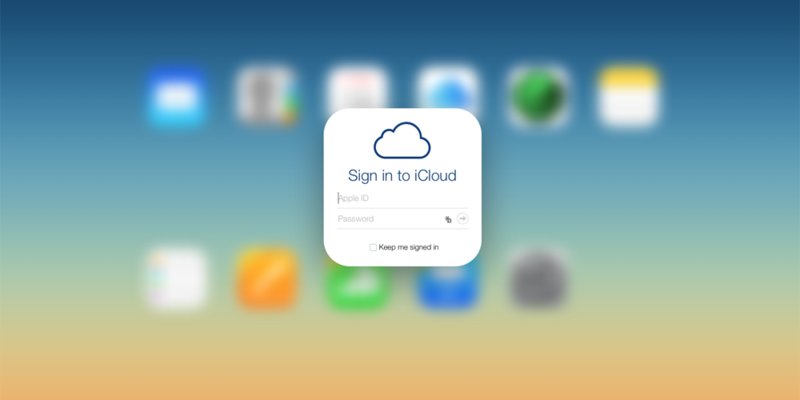 You need to complete the short registration process – this should only take about five minutes. There is a full programme of launch events over the next few weeks, details of these and a video message from Chief Executive, Jim Savege, on why you should register and start using O365, are on Arcadia. You will have access to online O365 support and FAQs once you have registered and there will be updates on O365 events on Arcadia, Yammer, email and directly through your service. We also suggest you join the Office 365 Users Yammer group to access and share advice and information. There are also around 85 digital champions across all locations and services – search for digital champions on Arcadia to find people who will either be able to answer questions, or point you in the right direction to find out more. 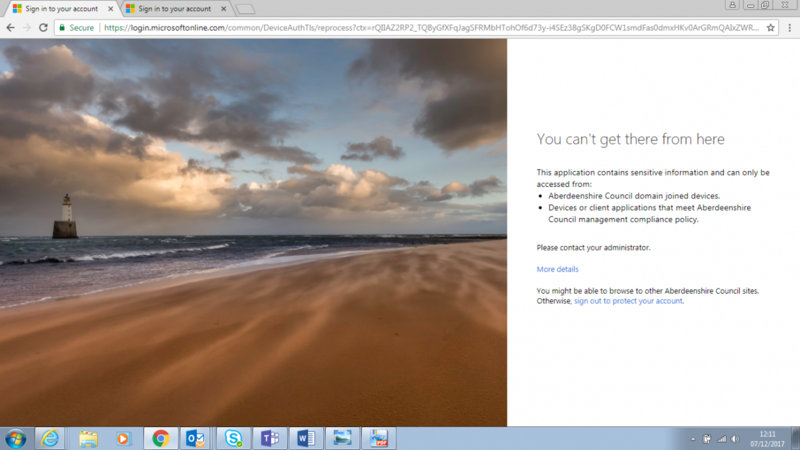 On Monday 15th May 2017, Microsoft O365 will be rolled out to all those Council employees with an ….aberdeenshire.gov.uk email address. O365 brings to the workplace many advantages with an online 24/7 access to the latest Office Productivity tools including Word and Excel. You can access files anywhere via your online O365 OneDrive and you can share files, work collaboratively in real time on documents with colleagues, on any devices. In ECS we have had access to O365 for many years via GLOW and many teachers and students have been using the features in O365 , such as Office documents, OneDrive, OneNote , Mail, Sway, Delve and many more . if you are using a Corporate (not curricular ) computer then we recommend that for Corporate O365 your access is via Microsoft Internet Explorer , and for any GLOW work you use the Chrome browser, by keeping access to the 2 different O365 accounts on separate browsers you will avoid any ‘sign in’ conflicts. 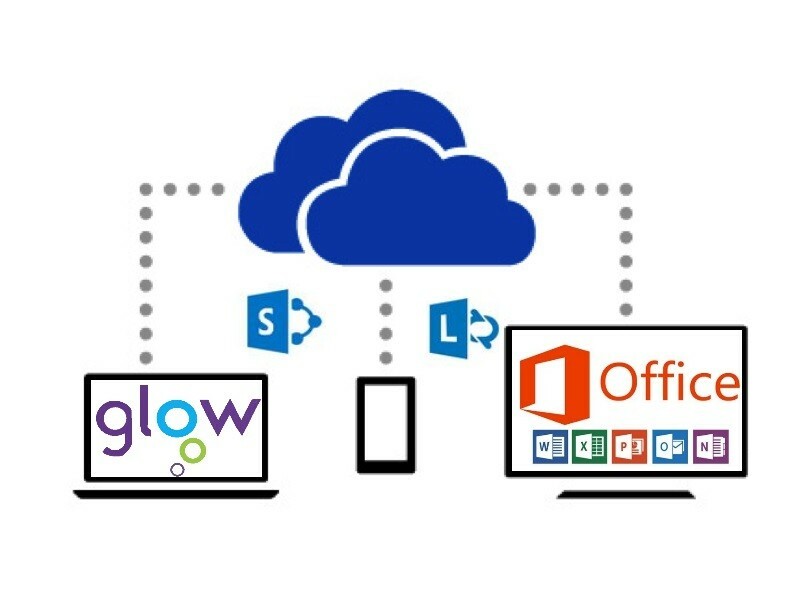 Please remember to continue to use GLOW for any educational purposes and Corporate O365 for business purposes. Myself and Susan are the O365 champions for this rollout of O365 to Corporate users, so if you have any questions please drop us an email. S1 transition week is fast approaching some of our Academy Schools. If your new S1s require a CC4 login then please contact the primary schools who should be able to pull up lists of P7 Glow Usernames. Please click on the link below if you would like to access guidance notes re setting up a school Twitter account.